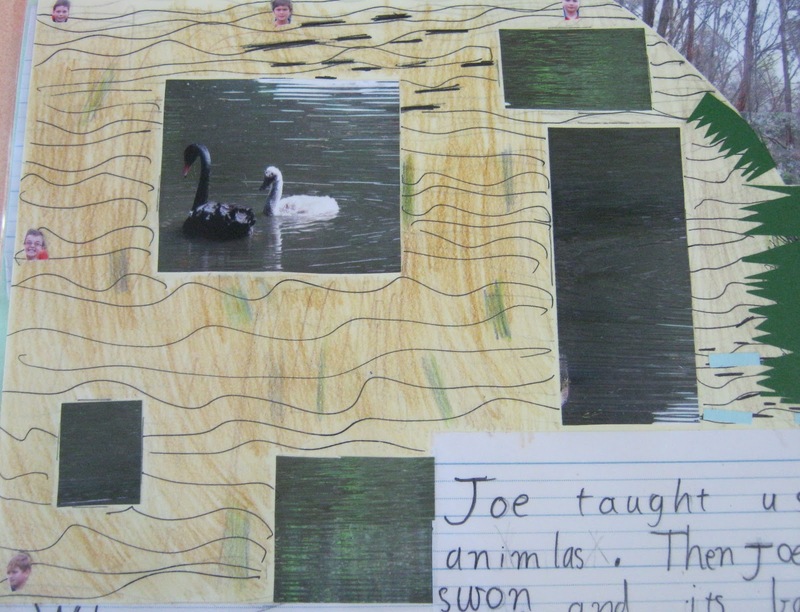 Yet another blog post where I just have to show off some of the great work the kiddos have been doing! This group of kids I have are just so wonderful at turning an idea into such a creative piece of work - they bounce off each others ideas and end up with something so much more than I expected! 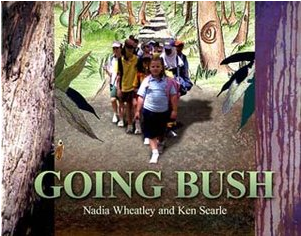 Have you read this book "Going Bush by Nadia Wheatley". 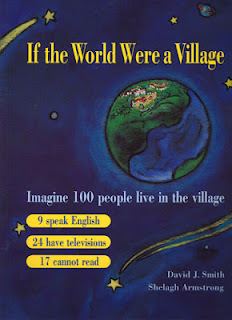 It is an Australian book so that might rule out many of you. 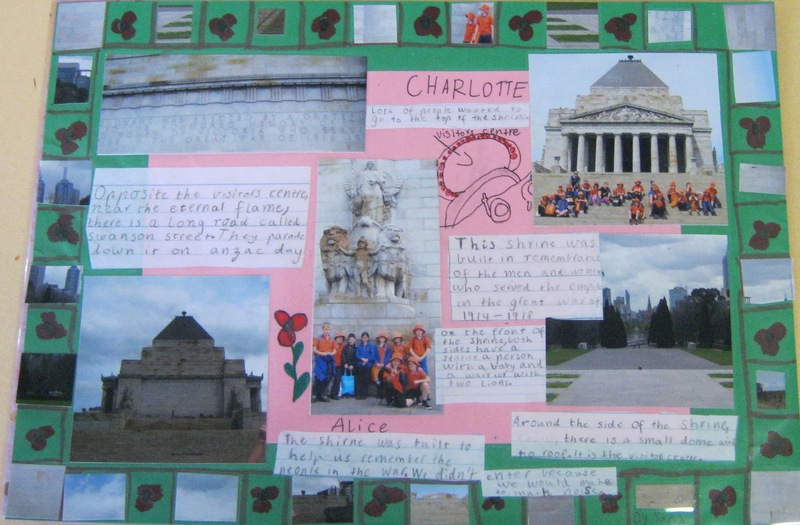 It is about a group of children (from all different nationalities) who go to parkland in Sydney. 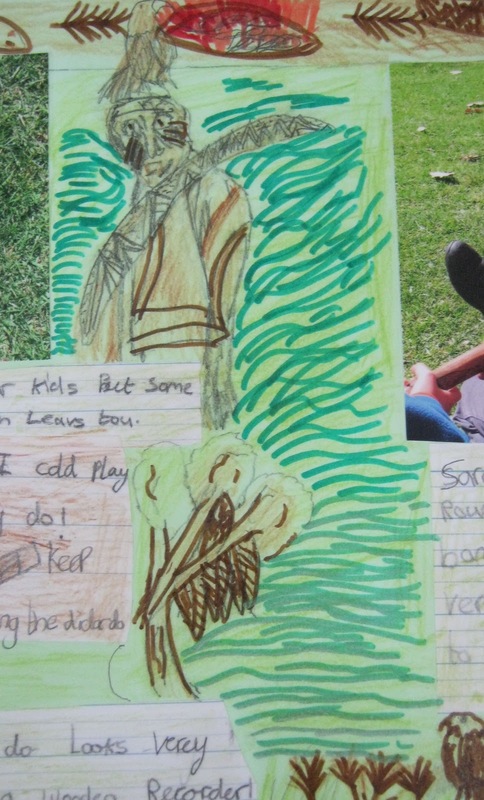 As they wonder deeper into the parkland they make observations and include facts about the Australian environment. 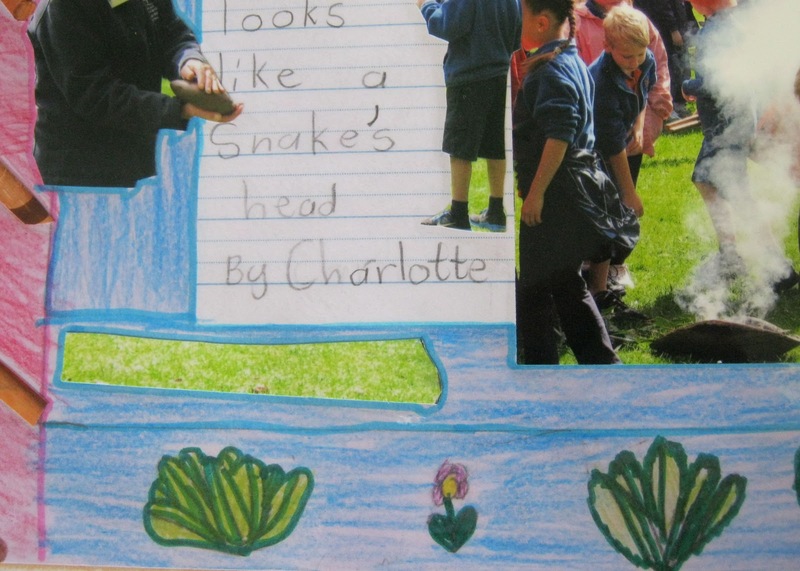 We read this after our visit to the Royal Botanic Gardens and it inspired us! The illustrations in the book are part drawing, part photo, part computer graphics - we loved this idea! I had thought all along that I would make a class book, but now have decided to display it as an open book so others can read it from the outside of our classroom. We have laminated each page. I am so proud of them! I love it when I can use a book to help our learning! 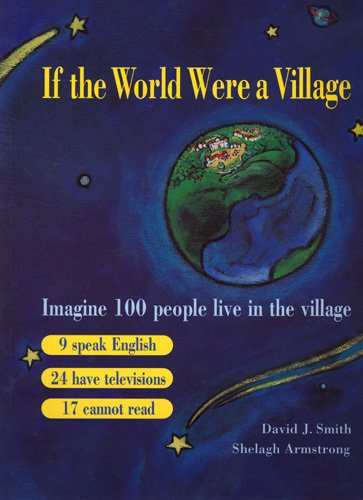 We have also done some data collection from the book "If the World Were a Village - Imagine 100 people live in the village" - you can also watch a youtube clip here. 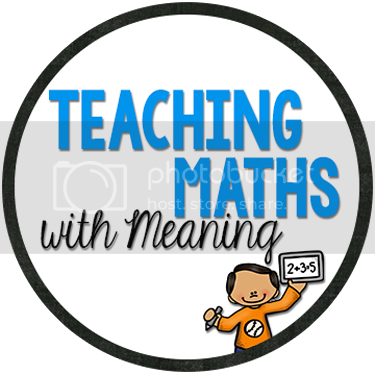 You can download the worksheet I used here as a freebie if you are interested. 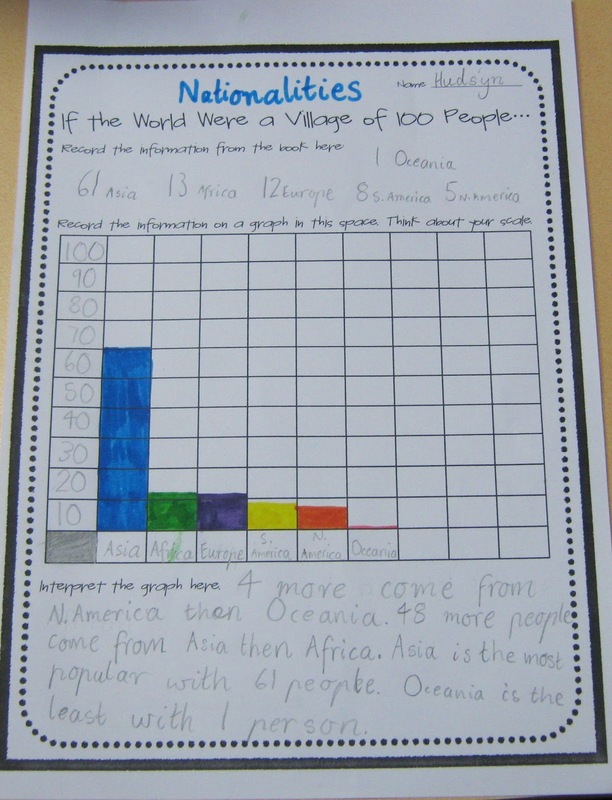 It was great to connect some multicultural/world discussion with some maths! P.S. Giants won the World Series - wahoo! I really like some of Nadia's books (like My Place and Walking with the Seasons in Kakadu) but I haven't seen Going Bush before. I'll have to pick it up. 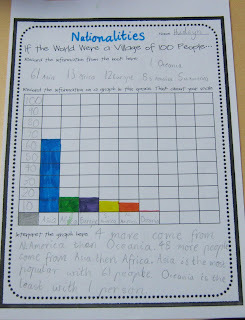 Love the work your kids did! Thanks! We are also looking at My Place at the moment - LOVE her books! They look great Alison! I am going to have to check that book out! Your kids work looks and sounds fantastic! I haven't seen Going Bush before, either, but I'll definitely be on the look-out for it now. Thanks Stef, I LOVE when I can connect a book!